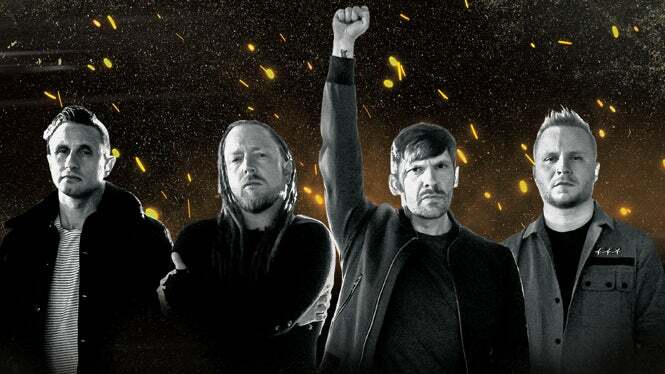 Multi-platinum rock band Shinedown has announced the first dates of their 2019 ATTENTION ATTENTION World Tour. The U.S. headlining shows kick off this winter and feature support from Papa Roach and Asking Alexandria. The tour hits Minneapolis on March 11 at Target Center, with the concert billed as the 93X Brotherhood Beer Anniversary show. Fan club pre-sale begins on October 2nd. Citi is the official presale credit card of the Shinedown tour, and Citi cardmembers will have access to purchase presale tickets beginning Tuesday, October 2 at 12pm until Thursday, October 4 at 10pm through Citi’s Private Pass program. For complete presale details visit www.citiprivatepass.com. Show Date/Time: Monday, March 11 at 7pm. Doors open at 6pm. On Sale Info: Tickets on sale Friday, October 5 at noon at the Target Center box office, online at TargetCenter.com or by calling 888-9-AXS-TIX.